Wonderland Junior is an inner city fun park offering a whimsical family experience for the young and young at heart. Surprise the little ones with a fun day out and enjoy the excitement of amusement rides including the Dodgem Cars, Carousel, Mini Swing Ride, Rockin' Tug, Circus Train, Tea Cups and more! With activities to keep the whole family laughing, dancing and skipping all day long; come and meet Twiggy the Talking Tree, enjoy a classic game of Laughing Clowns or experience our regular interactive programs including live shows, music performances, arts and crafts, animal visits and special holiday celebrations! Let's Play! Classic fun fare treats wait at Wonderland Junior's Sweet Treats shop with freshly made fairy floss, hot butter popcorn, ice cream, Caramel Corn, and a bounty of lollies, novelties and showbags on offer. Wonderland Junior is also the perfect venue to celebrate children's birthday parties or enjoy a group outing. Whether you're staying a few hours or playing all day, we offer ticketing options to match. Purchase single ride coupons for $3 each or a 10 pack for $25, saving $5! Play all day with a $29.50 Unlimited Rides Wristband or purchase 4+ at $25.00 each! 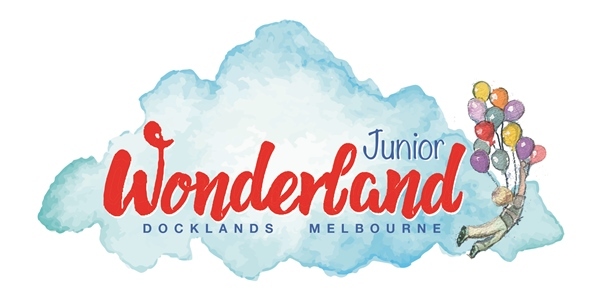 Wonderland Junior is a great excuse to spend the day in the heart of Docklands and a special way for families and friends to share life-long memories together. What are you waiting for? Let's Play! Open weekends, school and public holidays. Wonderland Junior has it's new Birthday Party Packages available! Wonderland Junior can also be hired for Corporate Functions.